You Too Can Be Cool! You may think you have plans for the night of Oct. 11. If I were you, I’d cancel them. Here’s the deal. The weather on October 11 will be cool. And my 7th annual Concert Under the Stars in Zilker Park is that night. It’s always cool with a wonderful mix of great people and great atmosphere. 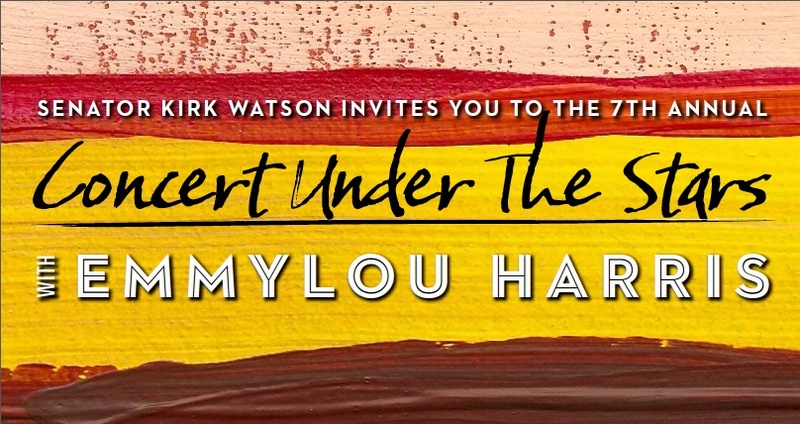 Also, Emmylou Harris (yeah, that Emmylou Harris) will be performing. She’s very cool. Finally, I’ll be there. And, of course, I’m about as . . .
Too far? OK. The night, event and performance will be cool. You will be too, but only if you’re there. So sign up right here to come to the show. This is always a great time, and this year’s show really could be the best ever. As you know, I’ve been writing for a while about the long effort to improve health and health care for Central Texas families and create, among other things, a medical school and new teaching hospital in Austin. Efforts to obtain federal matching funds for health care services. It will help make Austin a center for cancer treatment and expand options for treating major illnesses. This will allow Central Texans to access more cutting-edge treatments close-to-home, without traveling to Houston, Dallas or another far-off city. Through the new medical school at UT-Austin, it will create a pipeline of doctors for the entire region – making it easier for countless Central Texans to get a doctor’s appointment and allowing us to make better, more efficient use of our clinics. It will be a colossal boon to our economy, creating roughly 15,000 permanent jobs and $2 billion in economic prosperity. And it will allow for better care to the uninsured, saving taxpayer money by helping people avoid expensive emergency room visits. As always, a growing population creates opportunities, but the growth also requires services. The residents of a growing community can do without some things, but health care isn’t one of them. In an ideal world, the state government would provide for higher education that includes professional schools, but legislative support for higher education has been steadily shrinking. Meanwhile, the demand for physicians has been increasing along with the population. As the region experiences a demographic shift significant growth is expected at both ends of the age spectrum in the near future demands will increase for medical care. Waiting for the state to step in could literally be a fatal mistake. As state Sen. Kirk Watson, D-Austin, notes, bold action is required if the physician shortage is to be addressed. … The money generated wouldn’t be used for bricks and mortar, but to pay for care that a medical school would provide for low-income residents. The addition of a medical school to the University of Texas at Austin campus is expected to generate $2 billion and create tens of thousands of jobs, not to mention increasing the supply of physicians that are needed now and in the future. Medical students and residents will supplement health care treatment available to the poor and the uninsured. Obviously, this is a huge issue for our community. Just as obviously, I’ll be writing about it a lot over the next couple of months. But it’s never too early to ask for your vote, so let me say, please vote “yes” on this proposition. Early voting will start on Oct. 22 and Nov. 6 is Election Day.